Easy to handle and use. Only the basic functions and nothing excessive. Due to simplicity of th algorithm integrated in the EA, it is suitable for virtually all Forex brokers. It can even be used on cryptocurrencies such as Bitcoin, Ether and the like. It has also been tested on metals, stocks and many other instruments. What is the algorithm inside the EA? First of all, it is a trader's find that allows using a unique the unique inefficiency of the market, which occurs only once in a while but gives stable profit all the time, as per my observations. Based on the price action analysis, the EA makes an informed decision on performing a trade during a calm on a highly volatile market. 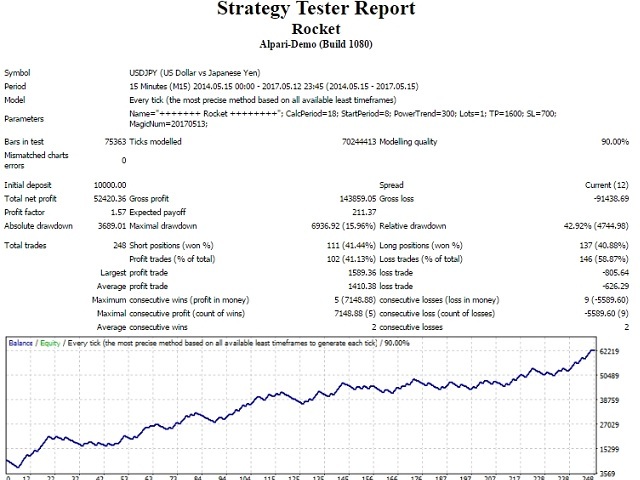 Only this trading method allowed obtaining good results for many years of testing. It is recommended to use the EA on 5-30 minute timeframe on any currency pair with high liquidity. Trading time: around the clock. Pairs: any Forex, cryptocurrencies, CFD, stocks. Broker: it is recommended to choose a broker with low spreads. The EA is ideally suited to work on different pairs in parallel and to complement the other Expert Advisors. No martingale, no grid, no hedging No averaging. 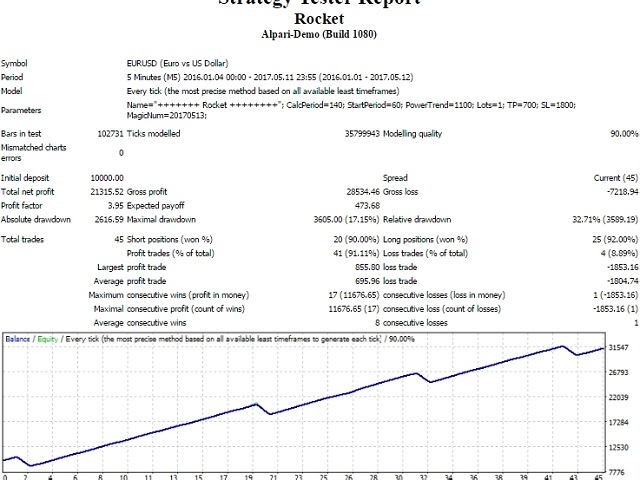 Uses protection of funds using stop loss and take profit. It can be used on most known currency pairs and stocks. CalcPeriod - the number of candles to calculate the volatility. StartPeriod - the number of candles before the volatility. MagicNum - magic number to distinguish orders. - Updated the order modification function. - Improved the function of order processing. - Improved the position entry point. - Revised the order modification function. 1. Improved the algorithm of entering the position. 2. Adapted for all ECN brokers.